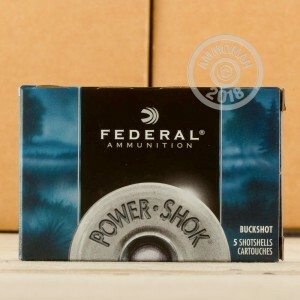 These magnum shotshells from Federal's Power-Shok series are an excellent choice for short to medium range hunting. 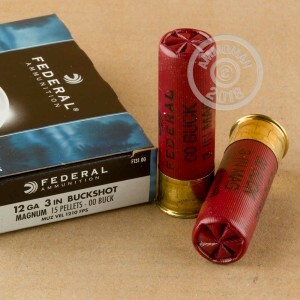 Each shell fires 15 pellets of 00 buck at 1,210 feet per second, producing a devastating shot column capable of bringing down deer with ease. 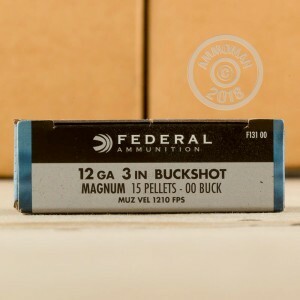 Each shell in this box of 5 contains a Triple Plus wad and polymer buffers so that the shot leaves the muzzle in a tight pattern and maintains its shape for enhanced ballistics. Need more than 5 shells? Who doesn't? Shop at AmmoMan.com and place an order for $99 or more to qualify for free shipping. It's an easy way to earn double digit savings.